We figured something was up when the National Rifle Association‘s old Facebook page @NationalRifleAssociation began transitioning to a NRA-ILA (Institute for Legislative Action) page recently. Well, now it’s Facebook Official. The NRA has now officially announced the launch of their new Facebook page with an easier to remember (and tag) handle @NRA. Head on over and connect with them today (and, while you’re at it, be sure to like @GunLink.info as well). 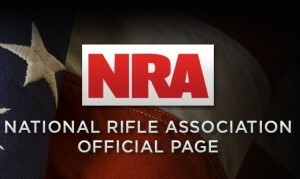 LaPierre went on to encourage all NRA members and gun owners to not just follow the new main NRA page, but also those of the other arms of the group, including NRA-ILA (which you may already follow from before the transition), NRATV, their various publications, and their new CCW insurance program, Carry Guard. Established in 1871, the National Rifle Association bills itself as America’s oldest civil rights and sportsmen’s group boasting more than 5 million members who fight to defend the Second Amendment and provide firearms safety training and education. If you are not already a member, you can join the National Rifle Association here and save on membership dues. What is the official NRA take on Oregon’s new gun confiscation law? what is the NRA’s take on Oregon’s fascist gun confiscation Bill,..just passed?